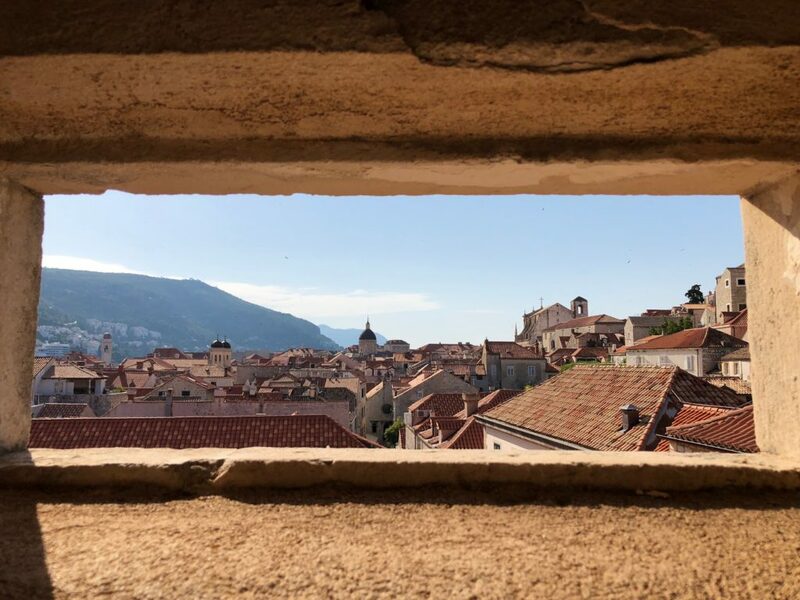 Upon seeing Dubrovnik’s walled old town for the first time on our drive in from the airport, I was so excited. 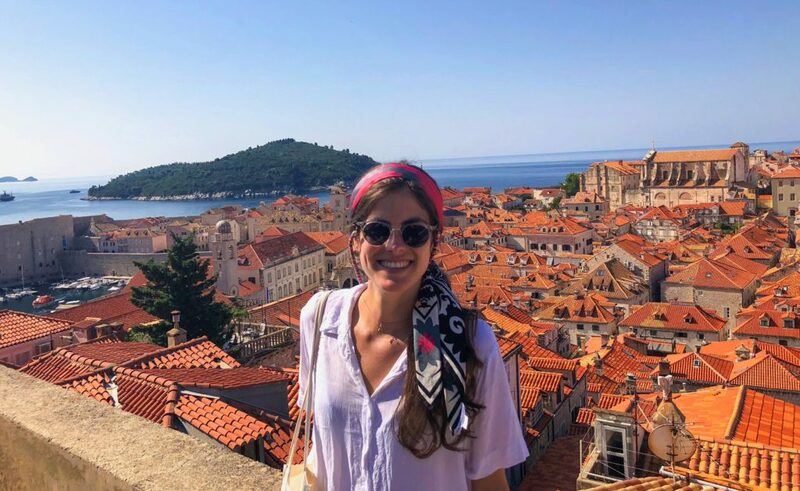 Even after seeing all the photos, no one can prepare you to witness the amazing sight of the ancient city walls and terracotta-roofed houses jutting out majestically into the sparkling Adriatic. 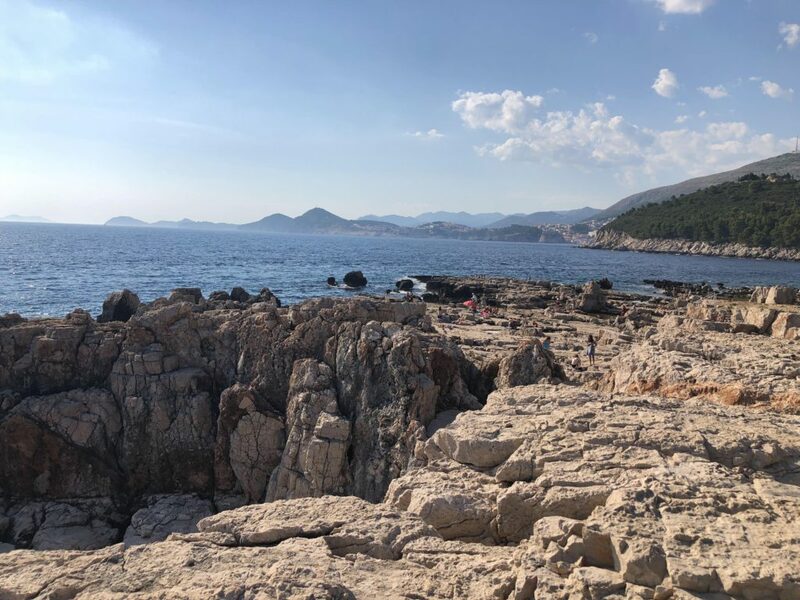 However, my experience in Dubrovnik turned out to be bittersweet: the star of the Dalmatian coast is at once one of the most beautiful and one of the most touristy places I have ever been. 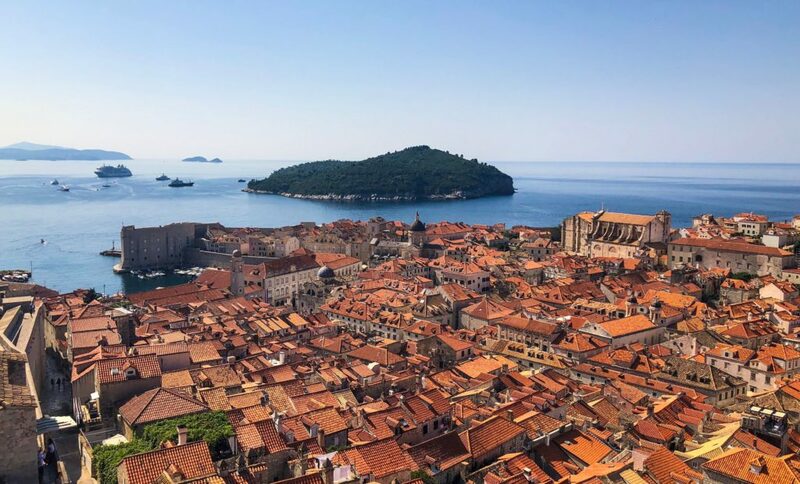 In this post, I seek to explain not only why Dubrovnik is touristy, but also why it’s ultimately worth it. 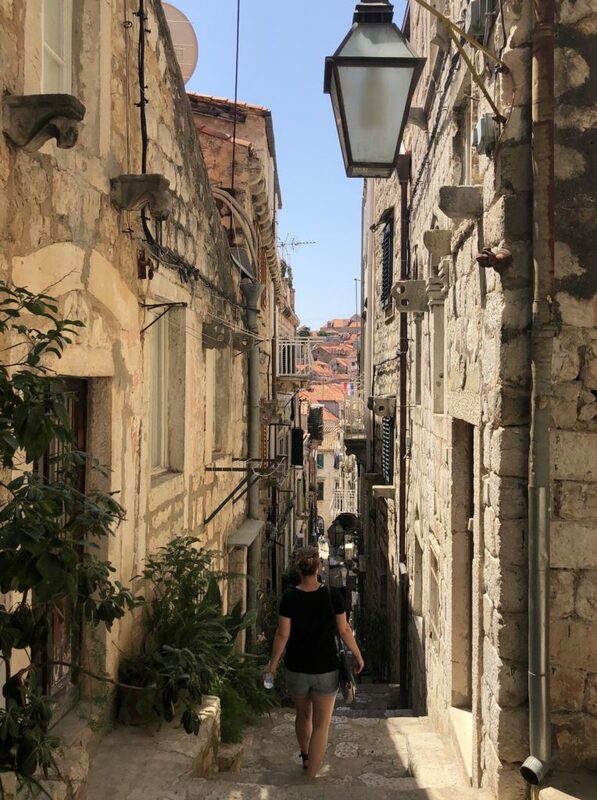 My initial shock at the amount of people in Dubrovnik’s walled old town didn’t sit well at first – I kind of felt like I was in Disney World. I heard almost no Croatian spoken on the streets; instead, I mostly heard Americans, Brits, and Spaniards. 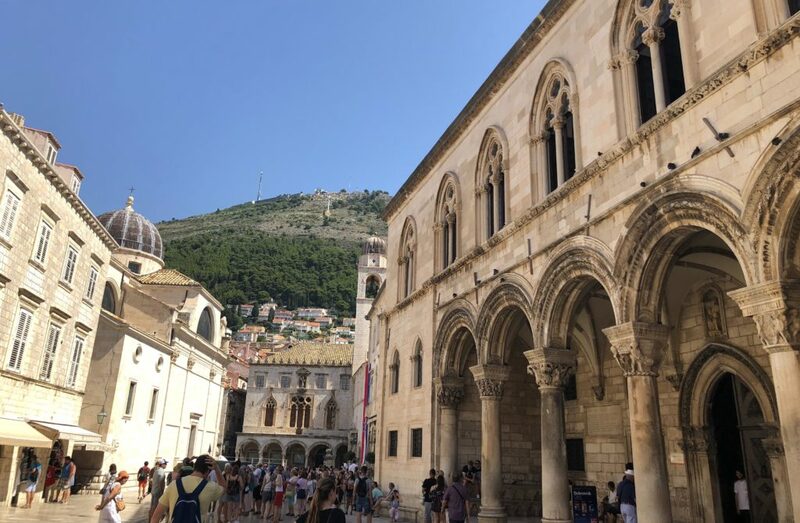 Of course, I expected Dubrovnik to have tourists like any other major European attraction (especially one that has swelled with fame in recent years because of Game of Thrones), and, of course, I am a tourist myself, so I can’t judge my fellow travelers. But when you jam thousands of tourists into a small walled city, the feeling is much more overwhelming than if that same amount of tourists were spread out over a wider urban area. 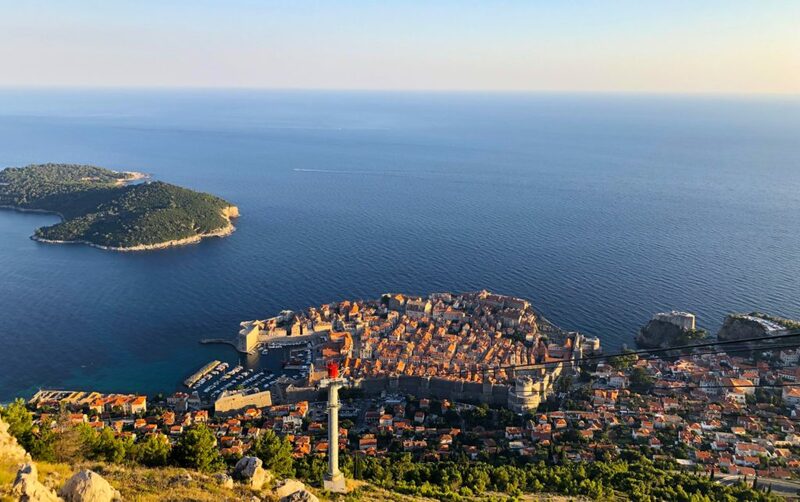 These factors create a sort of perfect storm that explains in part why Dubrovnik is touristy. Moreover, even though Dub’s old town is remarkably well-preserved in its exterior (especially due to some quality restoration after the war in the 90s), I felt like its interior was in a sense gutted: I did not find any traditional-feeling restaurants, shops, or cafes. 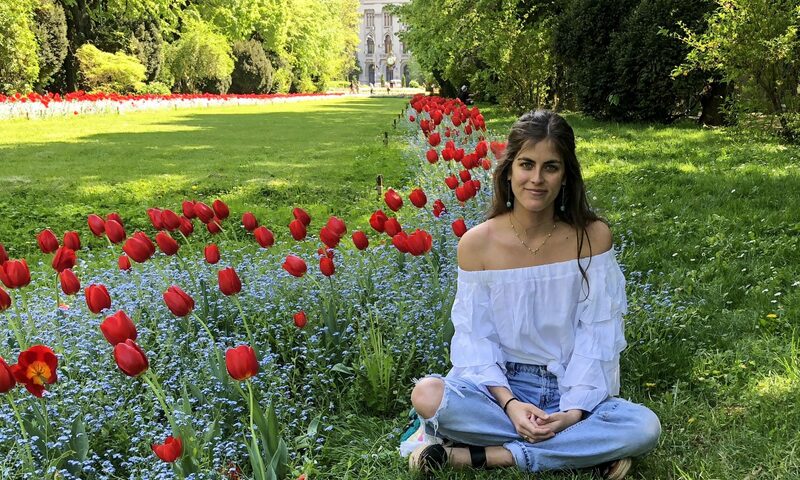 Instead, the old town is packed with touristy restaurants that serve decent food at best, candy shops that look like they belong better in Universal Studios, and odd jewelry and souvenir knickknack shops. 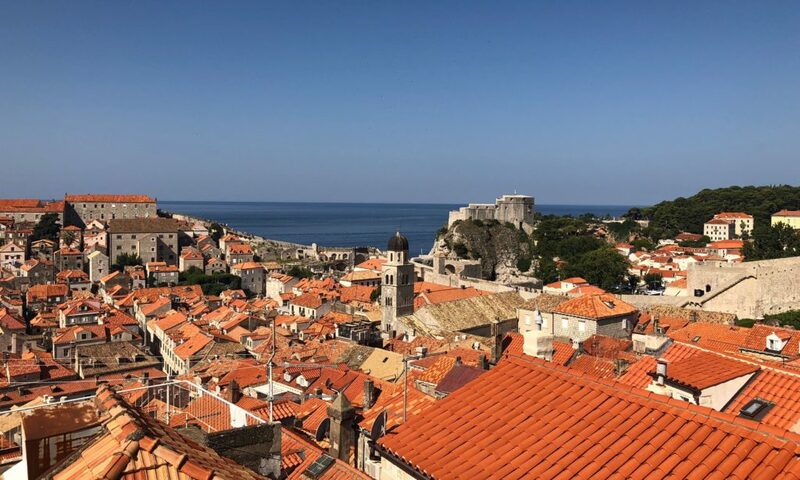 Yes, these are my negative opinions about why Dubrovnik is touristy – you’ll find similar sentiments here and here. Yet, keep in mind that I visited in peak tourist season, which definitely colored my view of the city. Ultimately, though, I was able to overcome these negative impressions and appreciate what is truly an impressively beautiful place. 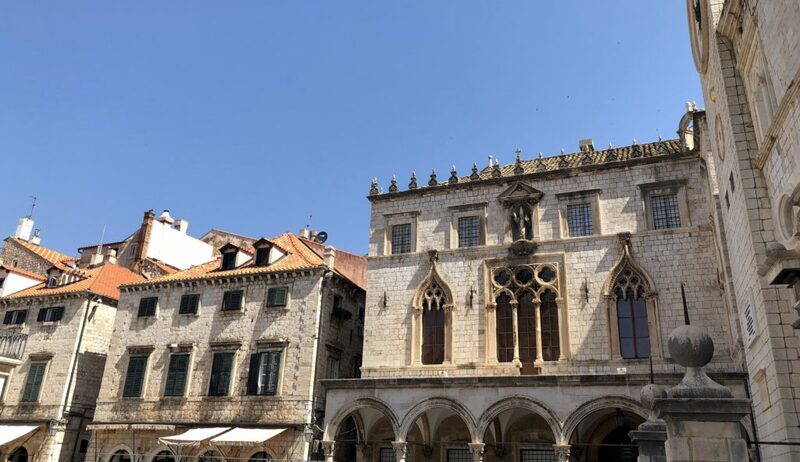 For more info regarding the logistics of visiting Dubrovnik, read my post on planning a trip to Croatia, where I outline in more detail when to go and where to stay (I really enjoyed our Air BnB outside the old town) to avoid feeling like you’re in a tourist trap. 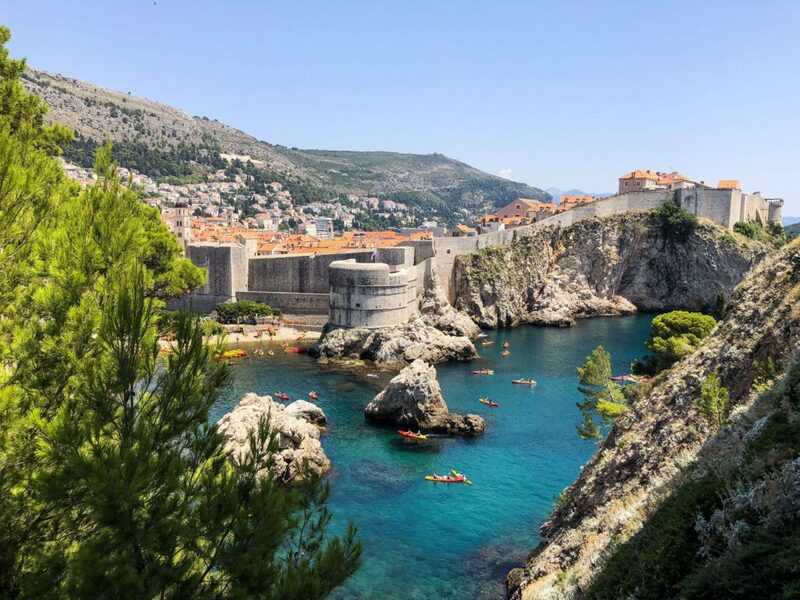 Below I list 6 sights and activities that made my time in Dubrovnik worthwhile. #1. The Views of the Old Town from the City Walls. 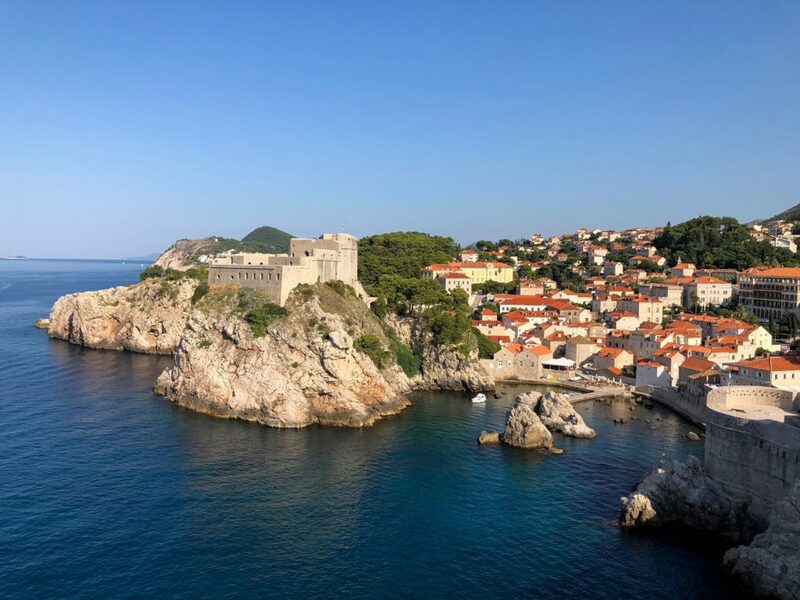 The city walls of Dubrovnik’s old town are its most stunning and famed attraction, so they are both a reason why Dubrovnik is touristy as well as a reason why it’s worth it. To avoid major crowds, be sure to plan your visit to avoid peak visiting hours. We went first thing in the morning when the walls opened and, although there were a good amount of people up there, it wasn’t overwhelming at all. The walls afford great views over the city itself as well as of the surrounding Adriatic Sea. Don’t forget to visit Fort Lawrence, also known as the Red Keep of King’s Landing to my GOT fans out there, which you can access with your ticket purchased at the ticket office near the Pile Gate (I believe that if you buy your ticket to the walls at the Pile Gate entrance, you can access Fort Lawrence, but if you buy a ticket at Fort Lawrence, you have to buy a separate ticket to access the rest of the walls). Be sure to wear sunscreen and/or a hat, as the sun really beats down on you up there! Incredible views of the old town and Lokrum Island from the city walls! #2. 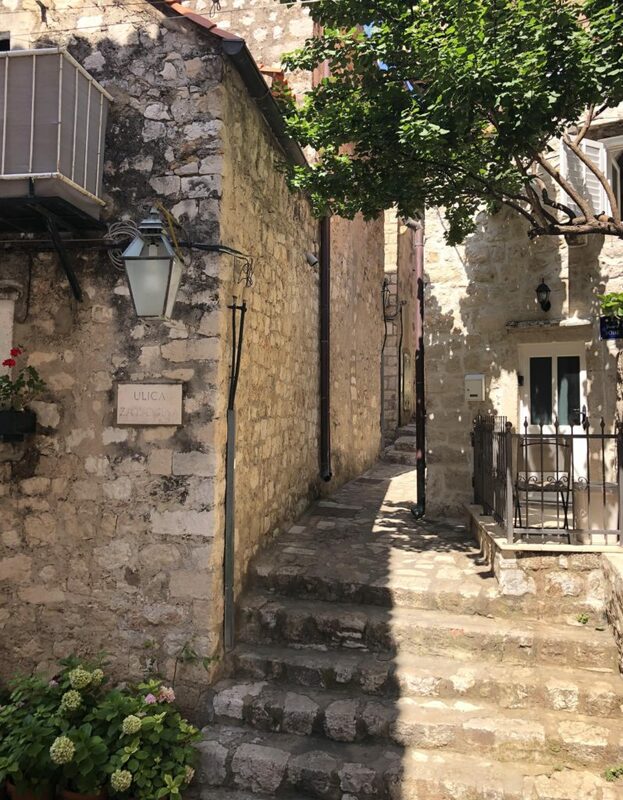 Exploring the Hidden Gems and Backstreets of the Old Town. 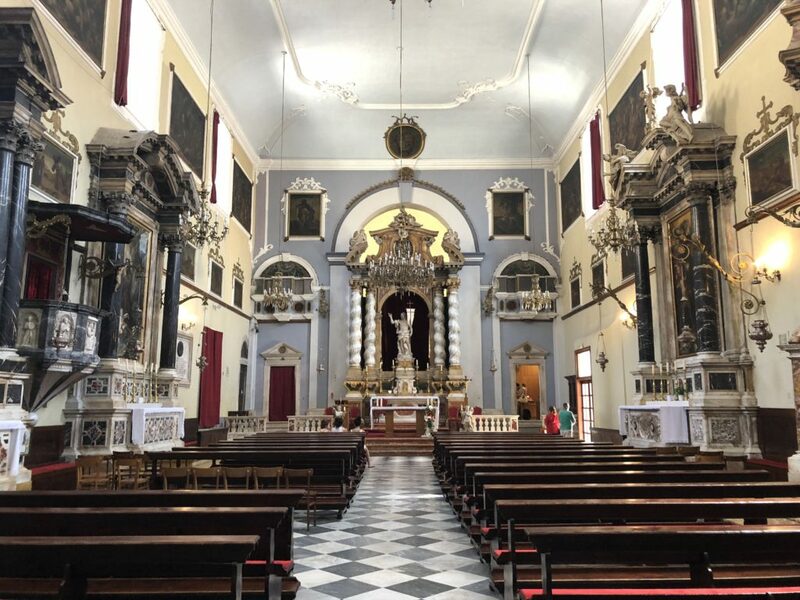 Major tourist attractions in the old town include Rector’s Palace or Sponza Palace, but I appreciated the more low-key attractions, like ducking into the Franciscan church or St. Blaise’s Church. I think it’s important to take things slow in the old town: look up (at the architecture) instead of straight ahead (at eye-level with other tourists). When I took the time to appreciate the little details of the walled city, like its arched windows and ancient stone structures, I enjoyed the area much more. I also liked roaming the backstreets of town, which tended to be more peaceful. 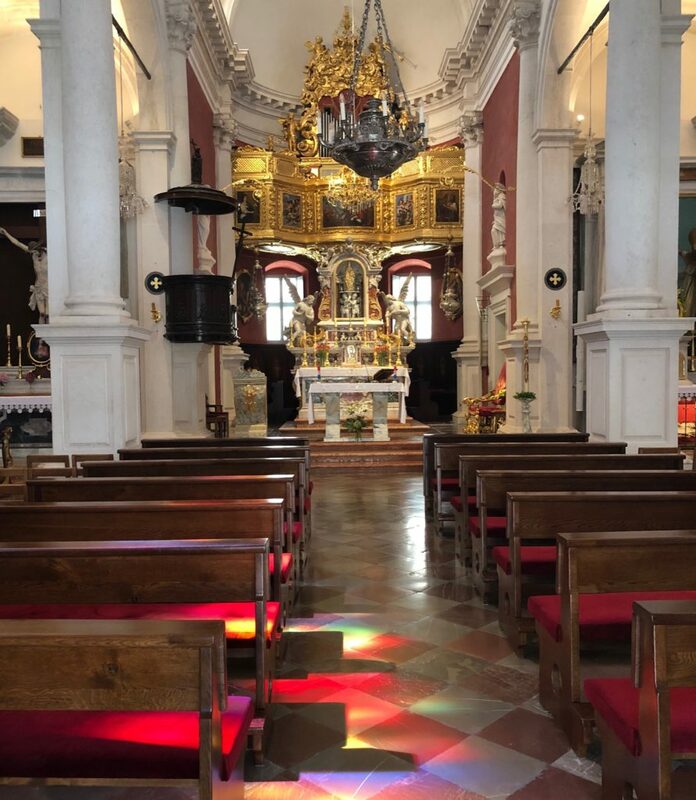 St. Blaise’s Church in the old town – I loved how the light spilled through the stained glass windows onto the floor! #3. Vine-Shaded Lunches with a View at Lady Pi-Pi. I have to say I was not super impressed with any culinary experience we had in Dub, but maybe we just got unlucky. However, I fell in love with Lady Pi-Pi for its location and ambience. 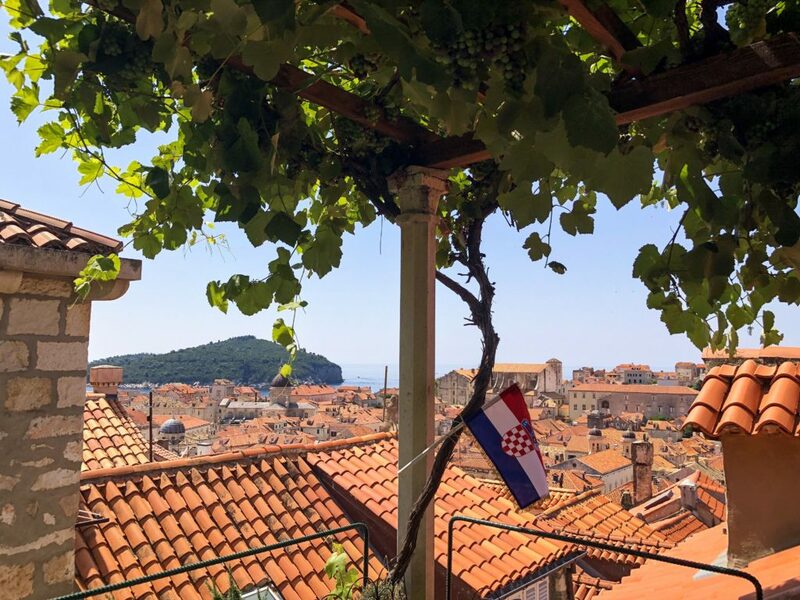 Set up along the walls, the restaurant’s lush grape vine-covered patio has beautiful views of the city below and Lokrum Island in the distance. Since this was my happy place in Dub, we went for lunch twice, haha. It seemed like the perfect refuge from the more bustling parts of town during the day. 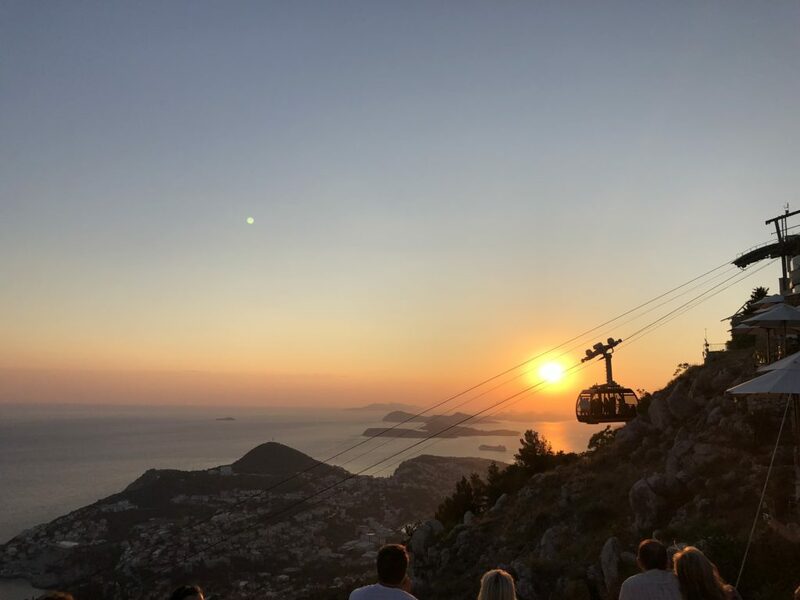 However, there was a long line out the door when we tried for dinner (this frustrating fact highlights again why Dubrovnik is touristy), so make sure to head to Lady Pi-Pi while the sun is still shining! Awesome views from the patio at Lady Pi-Pi. 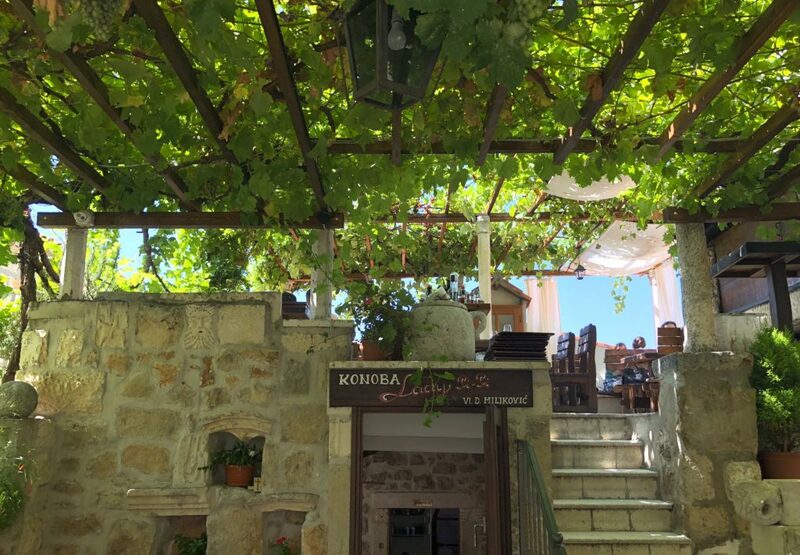 Check the grapes on the vines overhead! #4. Unreal Sunsets from Mt. Srđ. For one of the most beautiful sunsets of your life (no exaggeration – see the main photo for this post above), head up to Mt. Srđ on the cable car. The views from the top are incredible: you see the walled city below, the Elafiti islands to the west, and the mountains directly behind you (which most people overlook). There is a restaurant up there, but I recommend taking up a bottle of wine and some sunset snacks to enjoy the view from your cozy spot of choice. 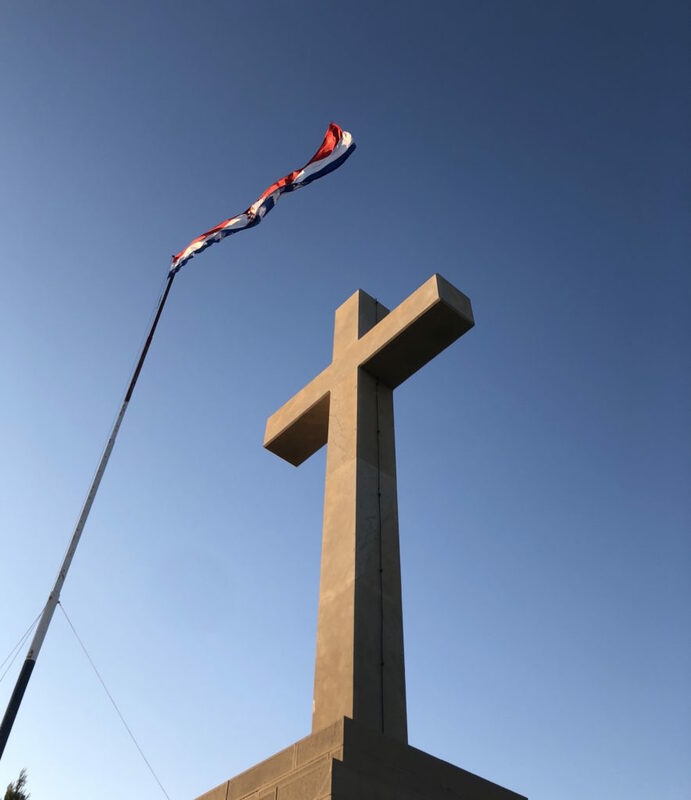 Sitting around the cross at the top of the mountain will do the trick. 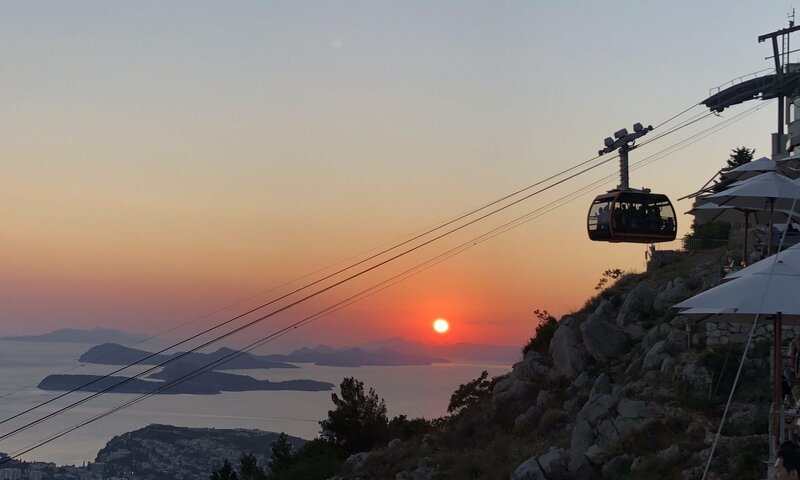 The view of the mountains directly behind the cable car – Croatia has tons of scenic landscapes! One of the best sunsets I’ve ever seen! #5. 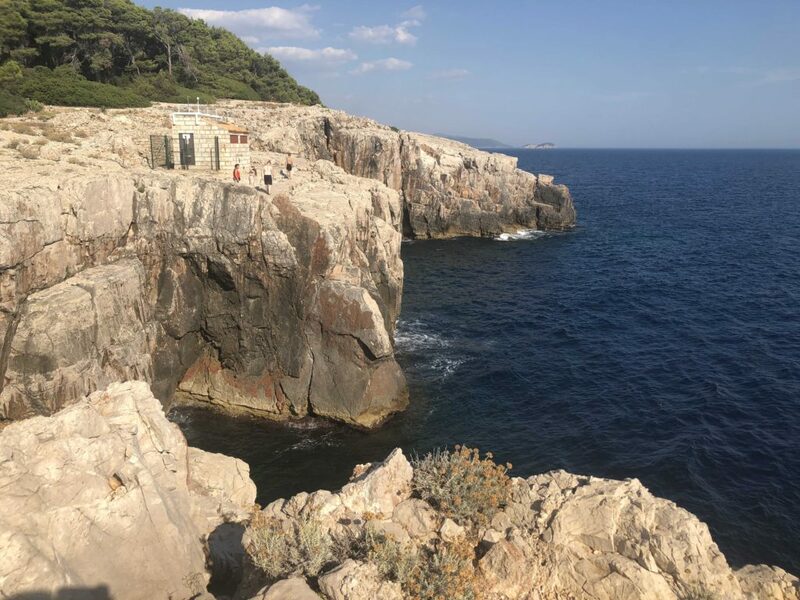 The Olive Groves and Rocky Cliffs of Lokrum Island. 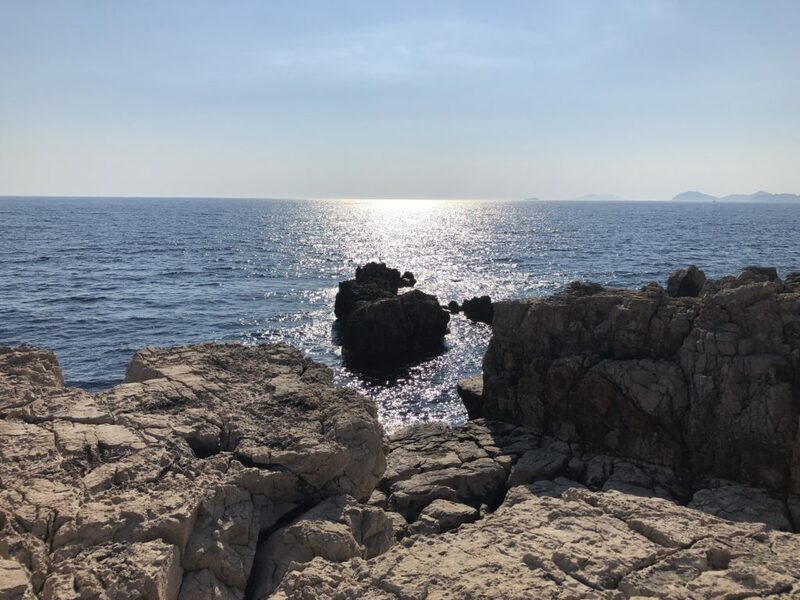 Lokrum Island makes for a great half-day trip from Dubrovnik. It’s easy to get to, with ferries running back and forth from Dub’s central port throughout the day. 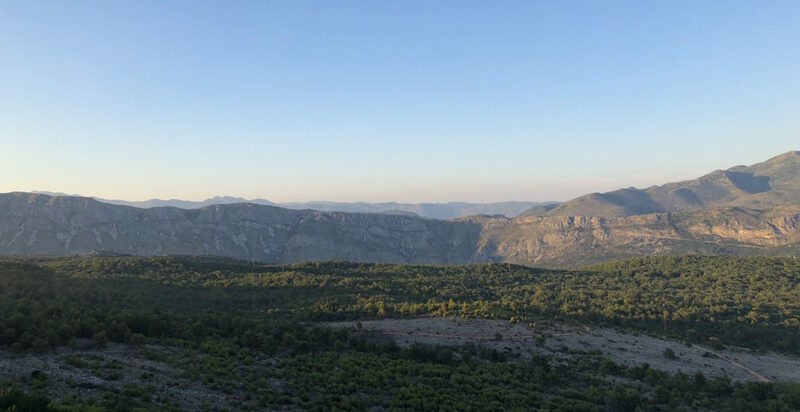 Upon arrival at Lokrum, you’ll notice the free-roaming bunnies and peacocks! 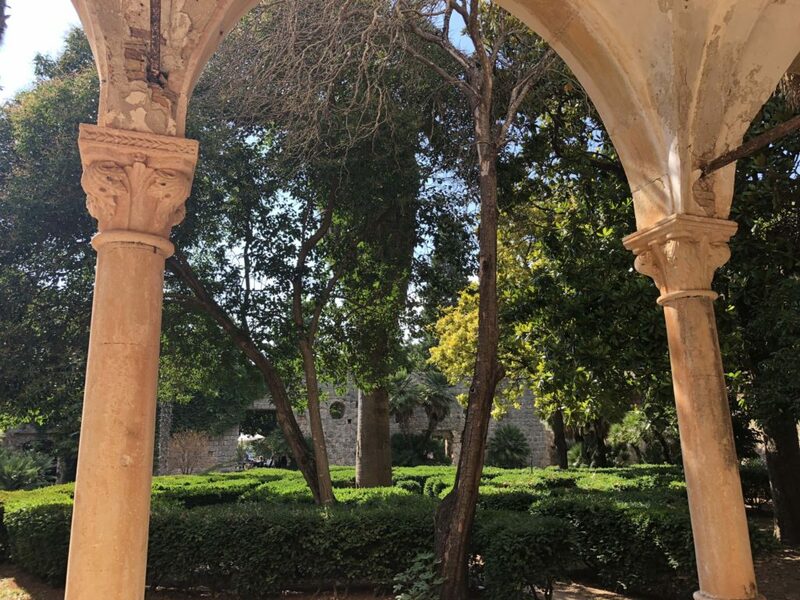 Meander toward the Benedictine monastery to have a look at the Iron Throne (a cheesy replica that also reveals why Dubrovnik is touristy), then make your way to the olive grove. 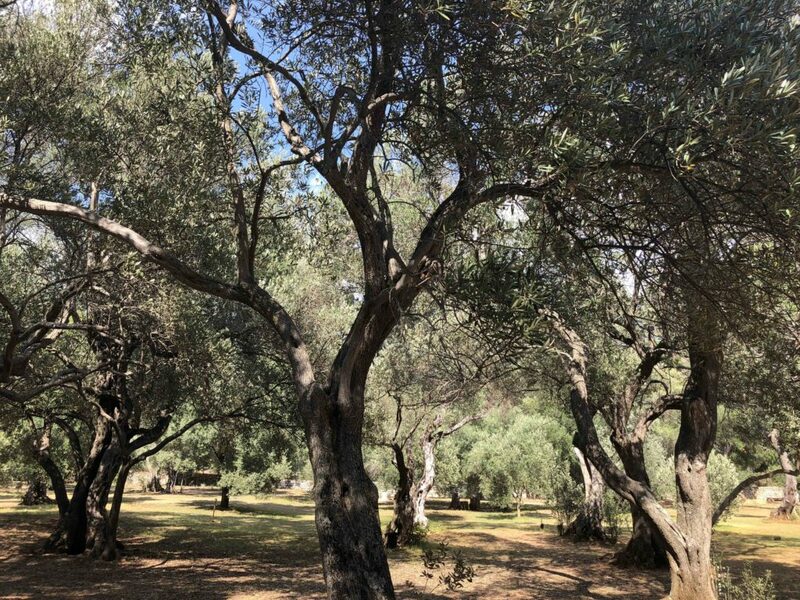 As a big olive fan who had never touched or seen olives on trees up close, I thought this was pretty cool. Be sure to check out the “Dead Sea,” the saltwater lake in the middle of the island. Then stroll up to the rocks behind the lake for awesome views of the ocean. I recommend finding a nice spot on these elevated rocks for some quiet time to enjoy your surroundings, or bring a picnic and eat there! The Dead Sea on Lokrum! Amazing views from the rocks behind the Dead Sea! Walk along this area and take your pick for a tranquil hang out or lunch spot! #6. Swimming Breaks to Beat the Heat (and the Crowds). 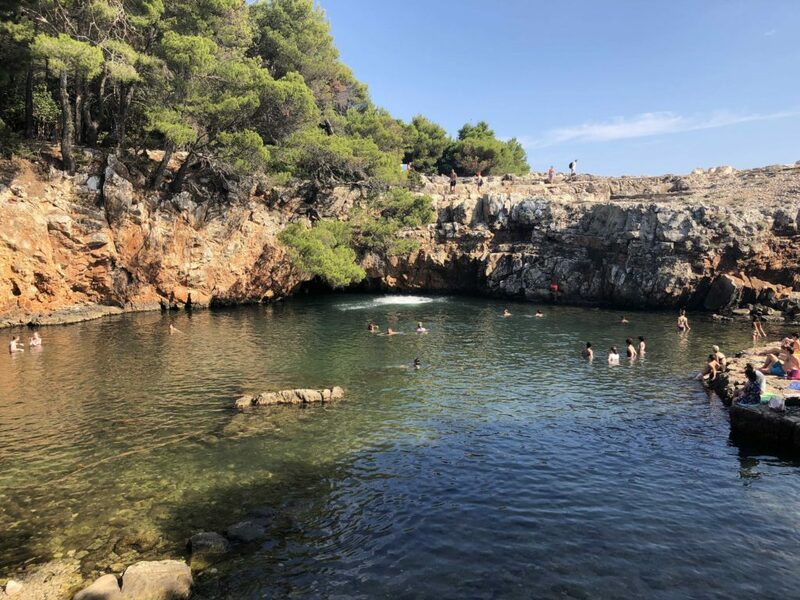 A great way to appreciate Dubrovnik’s natural surroundings is by taking a dip in the water at the rocky beaches at Bard Mala Buza or Buza Bar. 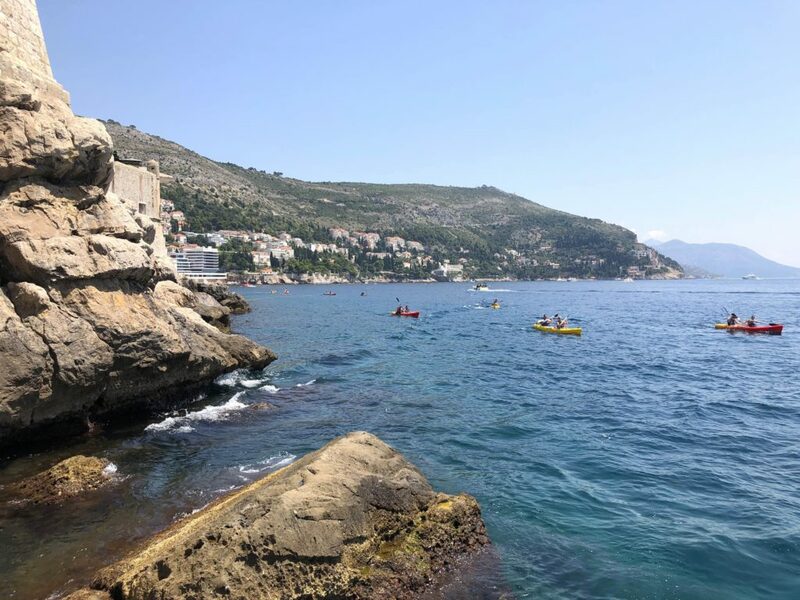 These two bars are located right on the edge of the walled city, so they’re a great place to enjoy swimming in the Adriatic’s transparent blue waters. Taking a swim here is the perfect way to cool off and get a break from the busier parts of town. 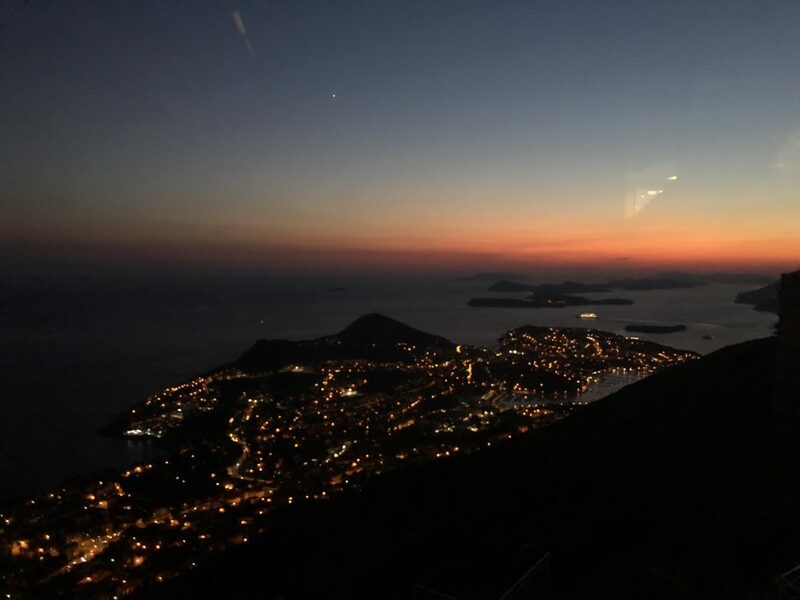 Ultimately, it’s important to understand how and why Dubrovnik is touristy in order to plan accordingly and make the most out of your visit. Nonetheless, it’s also important to realize that Dubrovnik is truly spectacular, tourists or not.